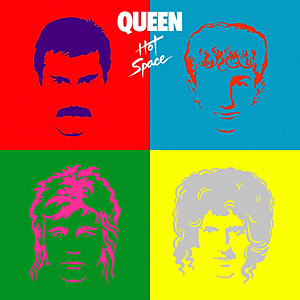 Released in 1982, before Queen’s “second coming” in 1984, “Hot Space” was a strange album. As Freddie Mercury told his audiences in live performances around 1981, the band were “experimenting with some black, funk stuff whatever you call it darlings..”. It was clumsy statement and indeed, this was a clumsy album. Queen were most definitely “old hat” in 1982. Punk had been and gone, and New Wave. Two Tone had peaked and New Romanticism was all the rage. What better, then to win people back than to produce an album of cod white funk? Tracks like “Staying Power”, “Back Chat”, “Body Language” and “Dancer” are all tolerable enough but they are not the real thing, neither are they anywhere near as good as Queen’s previous funk outings - “Another One Bites The Dust” and “Dragon Attack”, for example. The old “side one” of this sort of thing is ok though and I suppose kudos must be given to them for trying to diversify. They gave it a go. It just didn’t really work, sadly. “Side two” sees things go even more awry. “Calling All Girls” is awful. Hold on, was that a Roger Taylor song? Well, there you go. The song about John Lennon was well meant enough, obviously, and it even sounds remarkably like it could have come off “Mind Games” but it just quite come off. “Las Palabras De Amor” is a big production number in a style that harks back to their mid-seventies pomp, however in 1982 it just sounded dated. I remember hearing it at the time and recalling my Queen fan days of 1975-76 and quite liking it, but at the same time realising how dated it was. “Cool Cat” is an interesting curio. 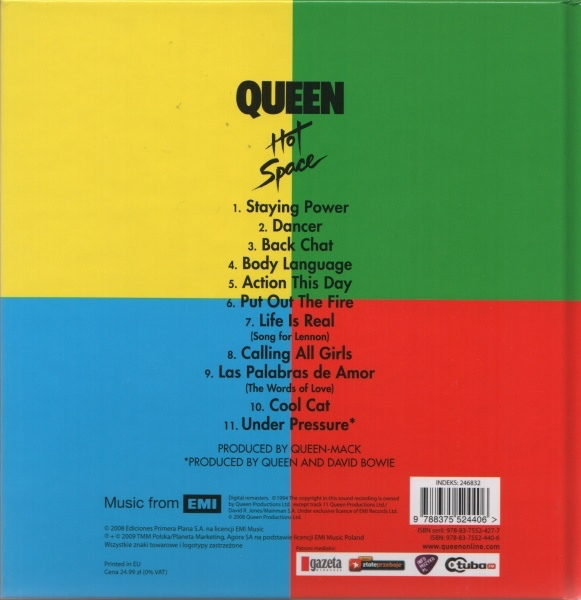 It doesn’t sound remotely like either Queen or Mercury.Actually, if you listen to this and try to forget it is Queen, it becomes more enjoyable.